What did I have for lunch yesterday? One perfect pea pod. No kidding. I was rushing like crazy and forgot to eat lunch. I was at my favorite stand at the Union Square Farmer’s Market buying micro-greens, edible flowers, pink-stemmed buckwheat sprouts, and more. Windfall Farms carries “boutique” produce unlike any other and that’s where all the photo/prop/food styling folks go. Including me…and I have a photo shoot for Lenox China coming up. Anyway, I was also thirsty and the nice farmer said, “here, eat a pea pod.” In one fell swoop, I tasted early summer…I felt satisfied…and my thirst was quenched. That’s it. A pea pod bursting with tiny fresh peas. The essence. Nothing more. 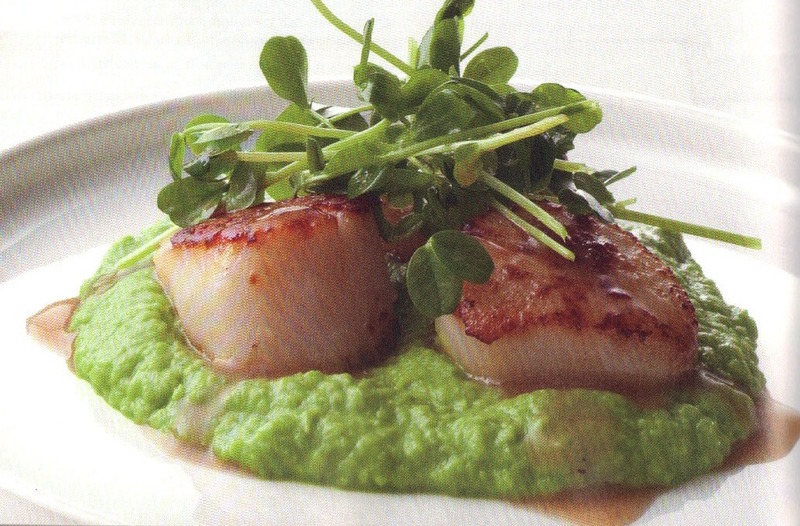 As promised yesterday on my Facebook page, I present the recipe that got a surprise rave from cooking maestro Arthur Schwartz who said he made my “Seared Scallops on Sweet Pea Puree” from Radically Simple: Brilliant Flavors with Breathtaking Ease. He said “be mindful when browning the scallops,” but he also said that the timing was perfect and that it was delicious. I think he added a burst of fresh lemon juice and so may you. I hope you enjoy it as much as Arthur and his guest did. This dish is an adaptation of one of the most beloved recipes from my original Recipes 1-2-3, but I’ve updated it with dry vermouth and a garnish of trendy pea shoots. It is a dish for any time of the year because frozen peas, always available, provide the base of the lovely buttery puree, but I suggest you try it soon with super-fresh peas from the farmers market. If using fresh peas, shell enough peas (from their pods) to get about 1-1/2 cups and follow the recipe, cooking the peas as long as needed to get tender but still bright green. Get the best freshest scallops available. 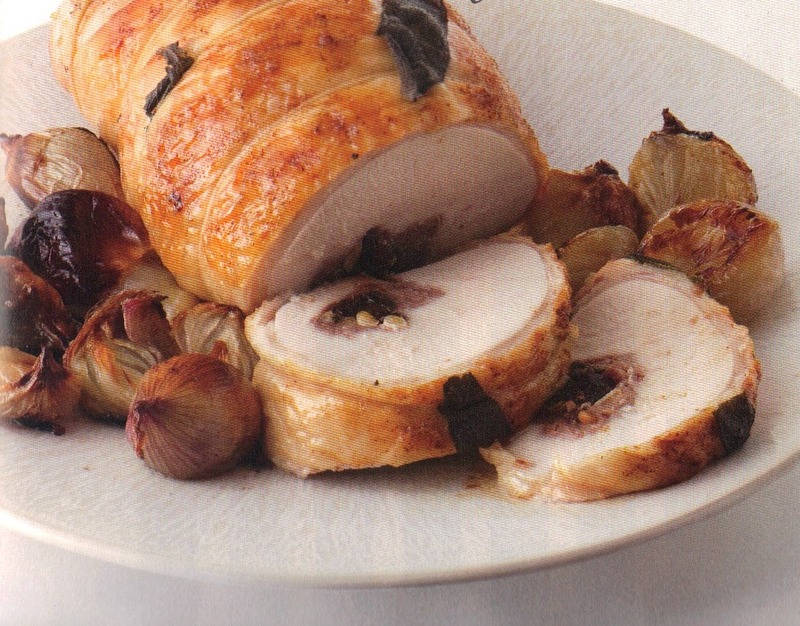 Make sure they haven’t been “dipped” in a solution or you will have difficulty browning them. Give peas a chance. Enjoy!